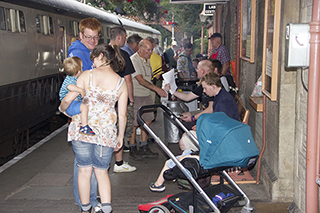 On the evening of 09th August 2014 a Sponsored Walk was held to raise funds for the SDRT Museum Support Group and the Buckfastleigh Station Group, with a donation also going to the Staverton Preservation Group. 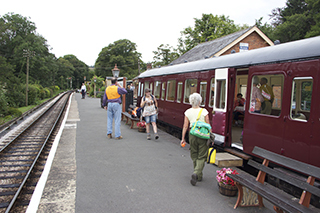 Just over 20 people took part in the walk from Totnes Littlehempston station to Buckfastleigh station, with a break for refreshments at Staverton, where the SPG had specially opened their new cafe coach for the occasion. 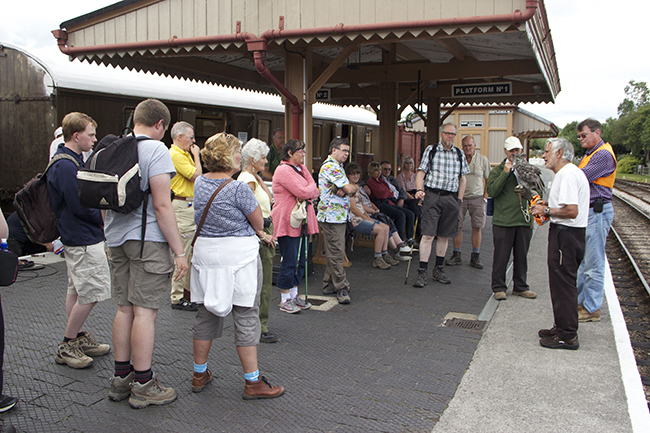 Walkers were a wide cross-section of people from all parts of the railway and members of the local community. 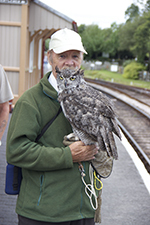 Probably the most notable walkers were Pete Small and Martha the Canadian long-eared owl. 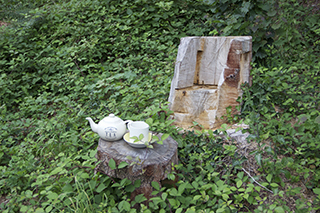 The walk was a great opportunity to see the line from an unusual viewpoint; photos are included of the new cutting back at Hood Bridge, the chair and tea table for gnomes on the long straight down from Caddaford, and of Ted Parrott with a local resident at Napper’s Crossing. 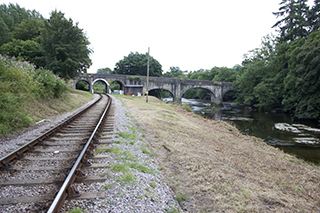 Barbara Parratt walked the entire line to provide first aid cover, and thankfully her services were not needed. 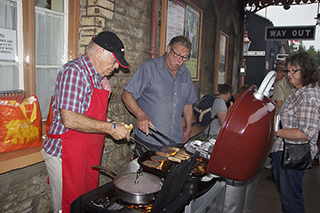 The Buckfastleigh Station Group, in the shape of Kevin Hendry, Steam Railway magazine star Chris Fitch, Dave and Enid Ellis provided a magnificent barbecue for everyone on their return, with cakes and trifle by Sue Parratt. Very many thanks to everyone involved with the event – we’ll publish an update with the amount raised as soon as we know the figure.